In Korea, it's not considered rude to call someone ugly if it's true. In a class of 12-13 year old students, a girl called a boy ugly and I automatically said, "Don't say that; it's mean." The kids all looked at me with surprised looks and one said, "It's not mean. He knows it!" while the boy just smiled at me sheepishly, seemingly unhurt by these accusations. 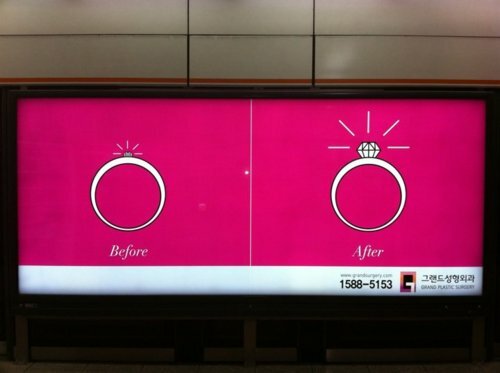 With physical appearance so brusquely out in the open in Korea, the way you look really matters. So, what is considered beautiful in Korea? There seems to be only one right answer: thin body, big eyes/double eyelid (a crease when your eye is open), a high nose (a bridge), good teeth, and a small face. 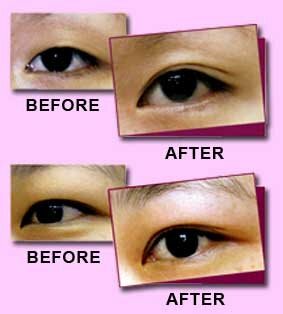 To get this "Westernized look," more and more Koreans are turning to plastic surgery for help, especially women. In a CNN interview, reporter Kyung Lah talks to a plastic surgeon at one of the busiest clinics in Seoul. "Dr Kim believes in the global economy, investing in plastic surgery to slightly westernize the face will bring a return on the investment of 100 times, through more confidence, a better job and obtaining a better marital partner." A New York Times article states,"Doctors say their main patients are young women entering the marriage and job markets. 'As it gets harder to find jobs, they’ve come to believe they must look good to survive,' said Choi Set-byol, a sociologist at Ewha Woman’s University." It's sad that people resort to expensive surgeries to try and be happier and more successful but what's even sadder is that sometimes, it works. Studies have shown that attractive people make more money "than their less comely colleagues." With the promise of a happier and more successful life, plastic surgery doesn't seem like a bad option to many Koreans. In fact, the number of people who are willing to have procedures done has increased from 21.5% in 2007 to 31.5% in 2010 (survey of both men and women). In a survey done by Trend Monitor, "one of every five women in Seoul between the ages of 19 and 49 said they had undergone plastic surgery." Plastic surgery wasn't always so popular or accepted in Korea. In the past, the bad stigma surrounding plastic surgery would keep people from getting procedures done but even that is starting to wane due to more and more Korean celebrities coming out about going undergoing operations. The place to shop around for plastic surgery in Korea is an area called the "beauty belt" in the Gangnam district in Seoul. Plastic surgery clinics line the streets and advertisements showing before and after photos of successful surgeries are everywhere. With plastic surgery so accessible and acceptable, will all of Korea one day be surgically altered?? I don't think so. There are some people who disagree with it and warn of procedures gone badly, dubbed "plastic surgery syndrome," and the possibility of getting addicted to it. There have also been a few posters advocating "Against Plastic Surgery" in the Gangnam area. However there are far more posters on subway cars, in subway stations, and on billboards showing successful surgeries of smiling "perfect" young women. Would you ever get plastic surgery? What if you were promised a better job and a more successful partner? Would you be tempted even a little?